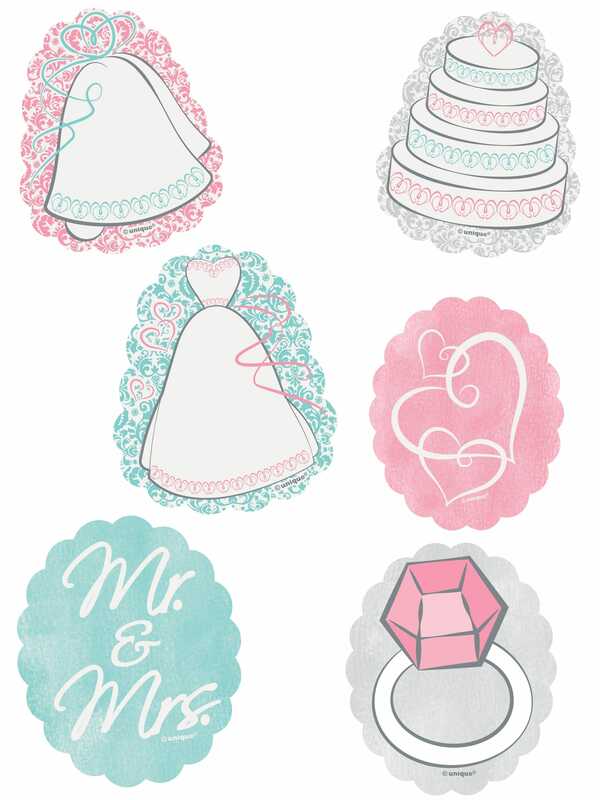 Why not decorate your bridal shower venue with these wonderful Bridal Shower Embellishments? They are the perfect addition to your walls or at the table when you celebrate the coming marriage. These paper decorations are cut into cloud-like shapes and are decorated with cute wedding motifs such as dresses and a wedding cake. Why not add some table confetti to bring even more sparkle to your special day? These were slightly larger than I envisaged - which was good! A really lovely product that didn't look cheap.